Ask people which is their favorite season, and most will tell you it's autumn. The brilliant colors brighten our days, cool mornings invigorate us after a sweltering summer, and comfort food is everywhere. Add to that the mounting anticipation of the upcoming holiday season, and it's easy to see why we love the shorter days and beautiful weather that fall brings. 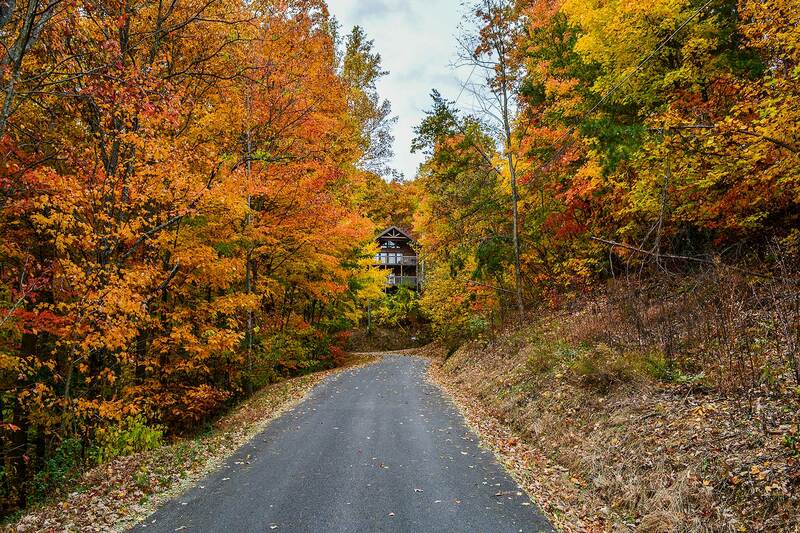 If you look forward to the vibrant colors and fresh scents of autumn, then this is the time to plan a trip to the Great Smoky Mountains, where fall is celebrated all season long. During the annual Harvest Festival, you'll find shopkeepers and homeowners alike trimming porches and sidewalks with artfully carved pumpkins, darling scarecrows and more. Not only that, but there's food and entertainment around every corner. German heritage is strong in Appalachia, and at Ober Gatlinburg it's celebrated in style. Oktoberfest brings the food, songs and dances of the old world to the Great Smoky Mountains, and is the perfect start to any fall adventure. Hop the aerial tramway in downtown Gatlinburg for a delightful trip up the mountain. At the top, you'll enjoy a tasty selection of favorite dishes, such as pretzels, schnitzel, strudel and more. Be sure to stick around for the entertainment, too. The Bavarian Fun Makers Band takes the stage each afternoon and evening to perform a variety of traditional songs as well as sing-alongs and yodeling. Dressed in authentic costumes, these talented musicians and singers will be the highlight of your Oktoberfest getaway. If you equate cooler weather with comfort food, you won't want to miss A Taste of Autumn. This 17th annual event is always a hit among locals and visitors alike, and with good reason. Not only do some of the area's finest restaurants participate, but the proceeds support the United Way of Sevier County, helping to improve lives in the local community. This year's theme is "celebrating the great outdoors" and is hosted by television's Nan Kelley, who brings her unique cooking style (dubbed "One Pan Nan") for a live demonstration. In addition to indulging in the endless variety of food available, visitors can get in on the act by joining in some friendly competition as well. Test your skills in tent-pitching, rock climbing and more. You're sure to work up an appetite by the end of this good-natured race. A Taste of Autumn takes place October 28 at 5pm at the Gatlinburg Convention Center in downtown Gatlinburg. Whether you count yourself among those who love autumn best of all the seasons, or even if you're just looking for a quick getaway before the rush of the holidays is upon us, there's no better time of year for a trip to Gatlinburg, TN than during Harvest Fest. The colors are unforgettable, the food is divine, and the hospitality simply can't be beat. It's a pre-holiday adventure your entire family will love.